Can Beets Be Eaten Raw? Beets are one of the most searched vegetable on the web. There are a lot of people who like this red hot vegetable but other consider it bitter so there is no in between people either love or hate this fleshy vegetable. Majority of people eat beets in cooked form but many people still ask a question can beets be eaten raw? 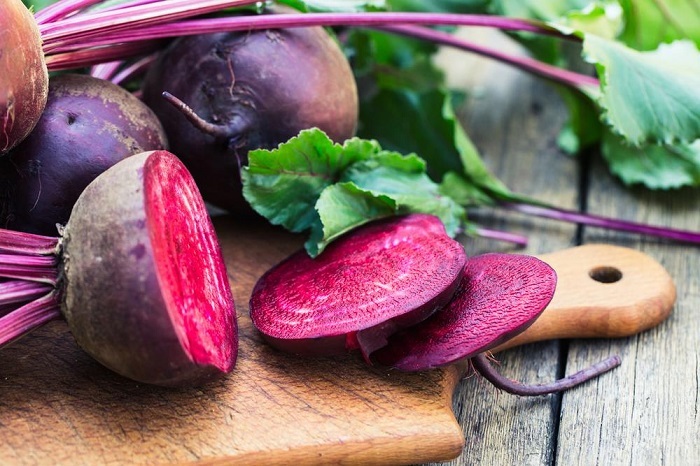 Have you ever thought of eating raw beet? If not then you need to rethink because here I would love to share tasty recipes of using raw beets. Beetroot whether raw or cooked are rich source of many essential vitamins and minerals. They are high in fiber content and rich source of antioxidants. These are also rich in folate and according to health experts beets are incredible way to get essential minerals such as copper, magnesium, iron, potassium, phosphorous and manganese. 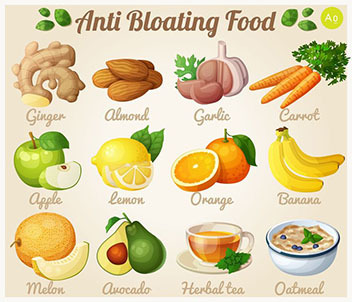 They are also big source of Vitamin A and Vitamin C. As they contain folate and folic acid so they prevent heart diseases, anemia and birth defects. 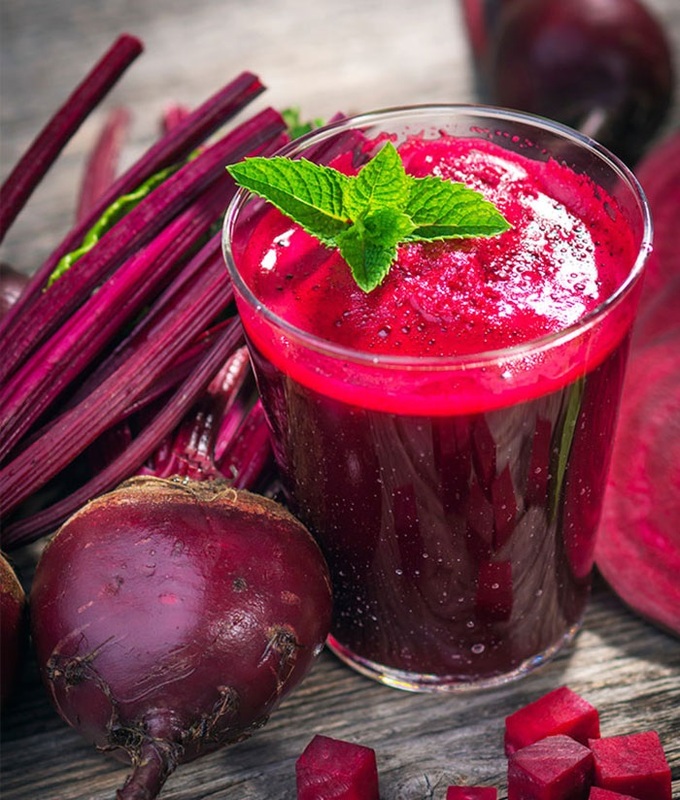 The soluble contents in beet root help in the management of blood sugar and cholesterol; where as insoluble fiber is good for digestive system. A small beet contain only 35 calories it mean they are low in fat. How to use raw beet? You can make raw beet salad with variety of vegetable such as carrot, orange, Ginger and yogurt. First of all you have to take equal parts of beets and cabbage then shred the beets with shallots as mentioned above. Also shred the cabbage by hand and add one orange. Peel it and chop. Combine all these ingredients and toss them. Then you have to do the same procedure as mentioned above such as you have to add salt, pepper, mustard, olive oil and vinegar to taste. Mix all these ingredients together and now your recipe is ready to serve. 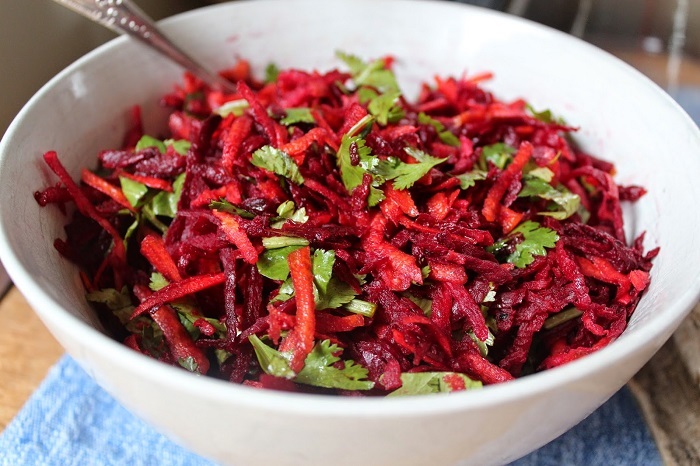 The taste of cabbage and orange will enhance the flavor of raw beet salad. You can make the same recipe by replacing cabbage and orange with carrot and ginger. You can also add roasted peanuts, lime juice and parsley for further seasoning. In the same way instead of using olive oil you can use two table spoon of yogurt to make the salad look like creamy. You can also add your favorite vegetable and it will further make your recipe tasty. Can beets be eaten raw in a smoothie? Raw beetroot can not only be use to make salad but another way to use them is by blending them with pineapple, bananas and strawberries. You can also use beet greens as well because it will make a delicious green smoothie which would be rich source of folate. You have to make sure to cut the beet root into smaller pieces before blending them. 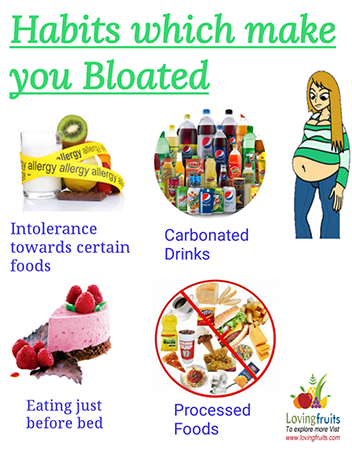 Moreover, you can also add beet root juice in smoothie as well. You can also make use of beet green. Read more on what to do with beet leaves? ← What to do with beet leaves?